Israel notified the NSA, where alarmed officials immediately began a hunt for the breach, according to individuals familiar with the matter, who said an investigation by the agency revealed that the tools were in the possession of the Russian government. 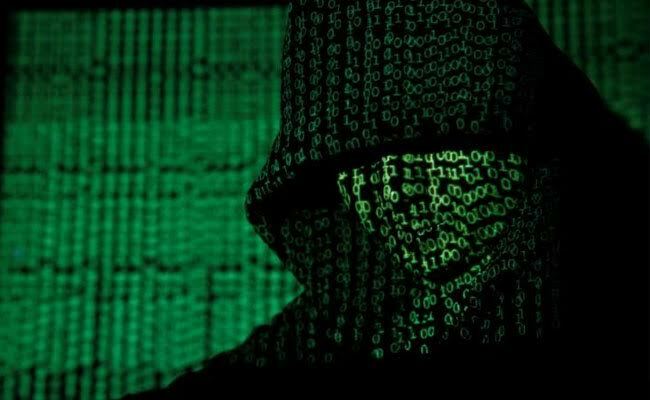 Israelis spies had found the hacking material on the network of Kaspersky Lab, the global antivirus firm, now under a spotlight in the United States because of suspicions its products facilitate Russian espionage. Last month, the Department of Homeland Security instructed federal civilian agencies to identify Kaspersky Lab software on their networks and remove it, on the grounds that "the Russian government, whether acting on its own or in collaboration with Kaspersky, could capitalize on access provided by Kaspersky products to compromise federal information and information systems directly implicates U.S. national security." The directive followed a decision by the General Services Administration to remove Kaspersky from its list of approved vendors. And lawmakers on Capitol Hill are considering a government-wide ban. Kaspersky spokeswoman Sarah Kitsos said that "as a private company, Kaspersky Lab does not have inappropriate ties to any government, including Russia, and the only conclusion seems to be that Kaspersky Lab is caught in the middle of a geopolitical fight." She said the company "does not possess any knowledge" of Israel's hack. The firm's founder, Eugene Kaspersky, said in a blog post last week that his antivirus software is supposed to find malware from all quarters. "We absolutely and aggressively detect and clean malware infections no matter the source," he wrote, suggesting that the NSA hacking tools could have been picked up as malware by the antivirus program. In the 2015 case, investigators at the NSA examining how the Russians obtained the material eventually narrowed their search to an employee in the agency's elite Tailored Access Operations division - hackers that collect intelligence about foreign targets. The employee was using Kaspersky antivirus software on his home computer, according to the individuals familiar with the matter. The employee, whose name has not been made public and who is still under investigation by federal prosecutors, did not intend to pass the material to a foreign adversary. "There wasn't any malice," said one individual familiar with the case, who like others interviewed, requested anonymity to discuss an ongoing case. "It's just that he was trying to complete the mission, and he needed the tools to do it." Concerns about Kaspersky have also emerged in the cyber security industry, where some officials say that the firm's software has been used not just to protect its customers' computers but also as a platform for espionage. Over the last several years, the firm has on occasion used a standard industry technique that detects computer viruses, but can also be employed to identify information and other data not related to malware, according to two industry officials, who spoke on condition of anonymity to discuss sensitive information. The tool is called "silent signatures" - strings of digital code that operate in stealth mode to find malware but which could also be written to search computers for potential classified documents, using key words or acronyms. "Silent detection is a widely-adopted cybersecurity industry practice, used to verify malware detections and minimize false positives," said Kitsos. "It enables cybersecurity vendors to offer the most up-to-date protection without bothering users with constant on-screen alerts." Kaspersky is also the only major antivirus firm whose data is routed through Russian Internet service providers subject to Russian surveillance. That surveillance system is known as the SORM, or the System of Operative Investigative Measures. Kitsos said that customer data flowing through its Russian servers is encrypted. She said that the firm does not decrypt it for the government. But other experts say the Russians would not need to hack's Kaspersky's systems. They say that the material could be picked up through the country's surveillance regime. The firm itself is likely to be beholden to the Kremlin, said Steven Hall, who ran the CIA's Russia operations for 30 years. He said Kaspersky's line of work is of particular interest to Russian President Vladimir Putin and because of the way things work in Russia, Eugene Kaspersky, "knows he's at the mercy of Putin." "The case against Kaspersky Lab is overwhelming," said Sen. Jeanne Shaheen, D-N.H., a vocal critic of Kaspersky who has pushed to remove the company's software from federal networks. "The strong ties between Kaspersky Lab and the Kremlin are very alarming." The federal government increasingly has been conveying its concerns about Kaspersky to the private sector. Over at least the past two years, the FBI has notified major companies, including in the energy and financial sectors, about the risks of using Kaspersky software. The briefings have elaborated on the risks of espionage, sabotage and supply chain attacks that could be enabled through use of the software. They also explained the surveillance law that enables the Russian government to see data coursing through its domestic pipes. "That's the crux of the matter," said one industry official who received the briefing. "Whether Kaspersky is working directly for the Russian government or not doesn't matter - their Internet service providers are subject to monitoring. So virtually anything shared with Kaspersky could become the property of the Russian government." Late last month, the National Intelligence Council completed a classified report that it shared with NATO allies concluding that the FSB, had "probable access" to Kaspersky customer databases and source code. That access, it concluded, could help enable cyber attacks against U.S. government, commercial and industrial control networks.